Why do enterprises choose AWS? Enterprises around the world rely on AWS' global leadership in cloud computing to build innovative solutions, migrate critical applications, and improve their financial position by retiring costly legacy technology. This shift to the cloud helps companies transform their business, gain agility and improve operational responsiveness. For over a decade, enterprises like 3M, Hess and Enel have successfully deployed AWS to run many of their business-critical applications and also building their technology foundation of the future. IDC indicates enterprises have realized up to 51% reduction in cost of operations and up to 25% increase in developer productivity when using AWS. AWS provides your organization with an industry leading portfolio of over 160 services, including cutting edge technologies and the cloud's most reliable infrastructure. AWS also provides a global footprint that ensures your applications can easily be made available around the world, without compromising capacity or security. In addition, AWS’ leading pace of innovation empowers your teams to become more productive and be at the forefront of technology, giving them the tools and services needed to build the applications you will need today, and tomorrow. Since AWS is more than just technology, you can also leverage programs and value-added offerings to help you create new experiences and delight your customers, partners and suppliers. These innovative cloud-based solutions can help you move faster and keep focus on what's most important - your business. As your journey to the cloud evolves, when you select AWS, you can also benefit from a global and diverse ecosystem of partners and a dynamic community of professional services, enterprise support offerings and solutions architects to help you in your journey to the cloud. The cloud is more than a means to provision technology in a different way. With AWS, your organization can change the way it does business and become more responsive to disruption. Organizations can deliver as many as 3 times the features and deploy software up to 90% faster, freeing resources to focus on strategic innovation. Modernizing your business applications is an inevitable aspect of doing business. With AWS, you can decide how to migrate your applications, at your own pace and leveraging the deepest platform of services and the industry's most reliable infrastructure. When deploying AWS enterprises can reduce payback periods to 6 months and reduce TCO by 64%. Organizations around the world benefit every day from using AWS. As you continue your journey to the cloud with AWS, your teams can gain significant technical advantages, but they can also improve the way they operate and align IT with the business. AWS allows business users to be up to 14% more productive and improve IT operations by up to 68%. 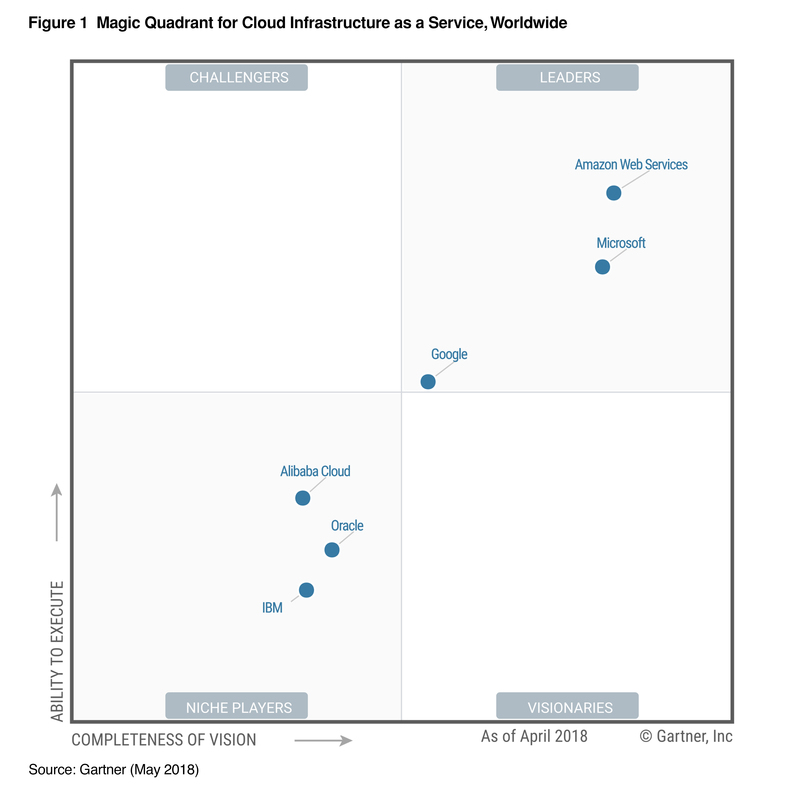 Gartner Research positions Amazon Web Services in Leaders Quadrant of the new Magic Quadrant for Cloud Infrastructure as a Service, Worldwide. Cloud IaaS, in the context of this Magic Quadrant, is defined as "a standardized, highly automated offering, where compute resources, complemented by storage and networking capabilities, are owned by a service provider and offered to the customer on demand." 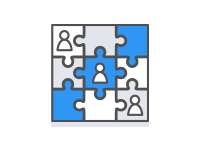 In addition to the most comprehensive platform of solutions and products, AWS offers a full portfolio of value-added services to help you reach the last mile or enhance your organization's skills. AWS' community of consultants, support specialists and managed services providers can help your company accelerate their journey to the cloud. 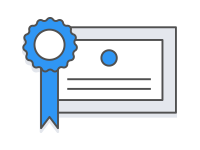 Additionally, AWS offers a comprehensive set of training and certification tools to help your employees develop the skills and capabilities needed for today, and the future. Fast response time and dedicated technical resources help you avoid and solve problems. 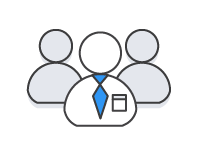 Experienced architects, engineers, and IT transformation leads who can work alongside your staff. A global network of tens of thousands of partners focused on delivering customer success. Accelerate your cloud adoption by providing your staff with deep technical training. Ongoing management of your AWS infrastructure so you can focus on your applications. Develop secure and innovative solutions to increase customer and shareholder value. Drive your digital marketing business with flexible, highly scalable, elastic and low cost solutions to build on. Solutions for ingesting, processing, storing, delivering and analyzing all of your video and media content. Build connected experiences and accelerate time to market for every touchpoint of the customer journey. Develop smart, connected products and services and drive efficiencies throughout your operations. Increase the pace of innovation, data lifecycle management, incorporating new technology into care delivery. Cloud solutions that help retailers accelerate innovation, optimize operations, and delight customers. Solutions to accelerate decision-making, increase profitability, and improve efficiencies in Oil & Gas. Enhanced networking and cloud-scale clusters for complex problems. 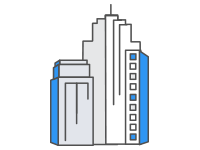 Build, deploy, scale, and manage Microsoft applications. Access your desktop anywhere, anytime, from any device. Move faster, operate more securely, and save substantial costs. Migrate and extend VMware environments to the AWS Cloud. Launch entire enterprise software stacks from Oracle on AWS.